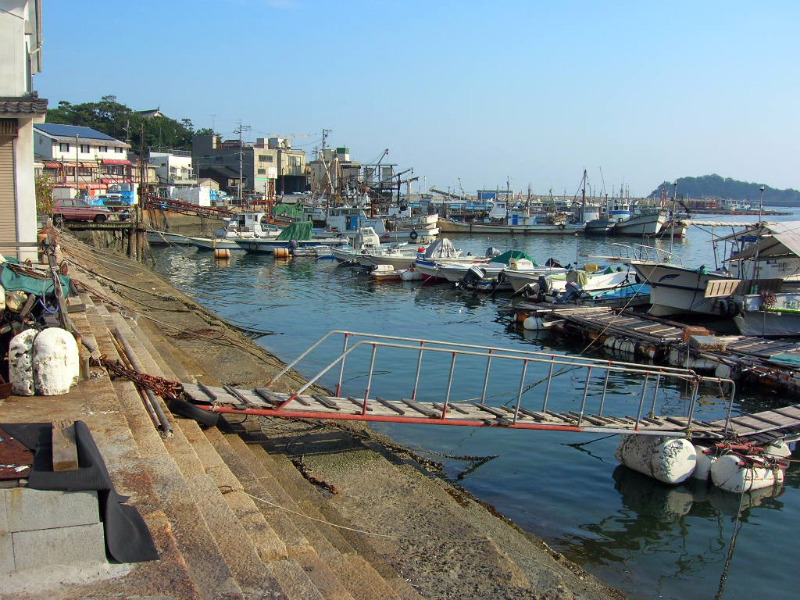 Tomonoura is a small fishermen's village beautifully situated on the Inland Sea of Japan, facing Sensui-jima Island (仙酔島). 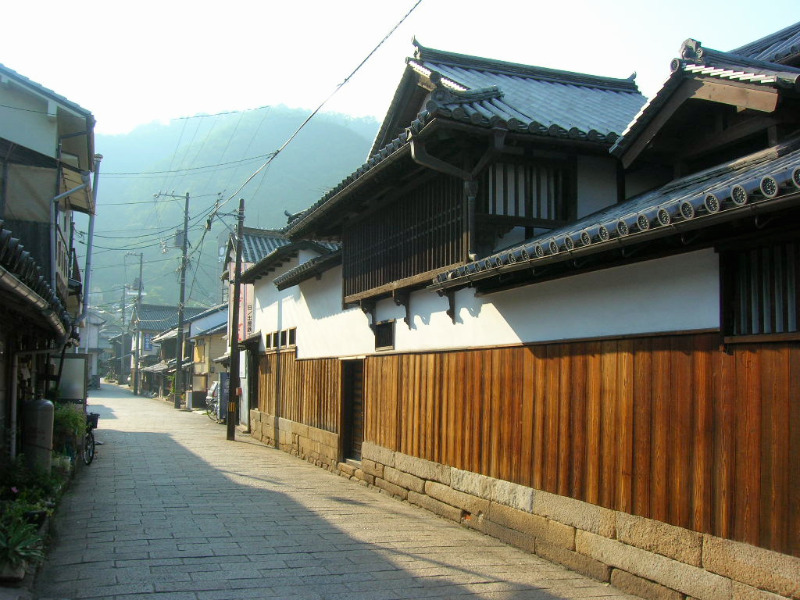 It has over 20 temples and remarkably well preserved merchant houses from the Edo period, as well as the ruins of the local castle. The most striking view is probably the two-storied pagoda on the tiny Benten-jima Island (皇后島), just opposite the harbour. The sight has been described by some as equal in beauty to the floating torii of the nearby Miyajima. In fact, a Korean emissary called the view the most scenic of all Japan in 1711. There are ferry boats to Sensui Island (￥280 return), which is part of the Inland Sea National Park. The rocky island offers great hiking and beautiful beaches. There are a few hotels near the pier. 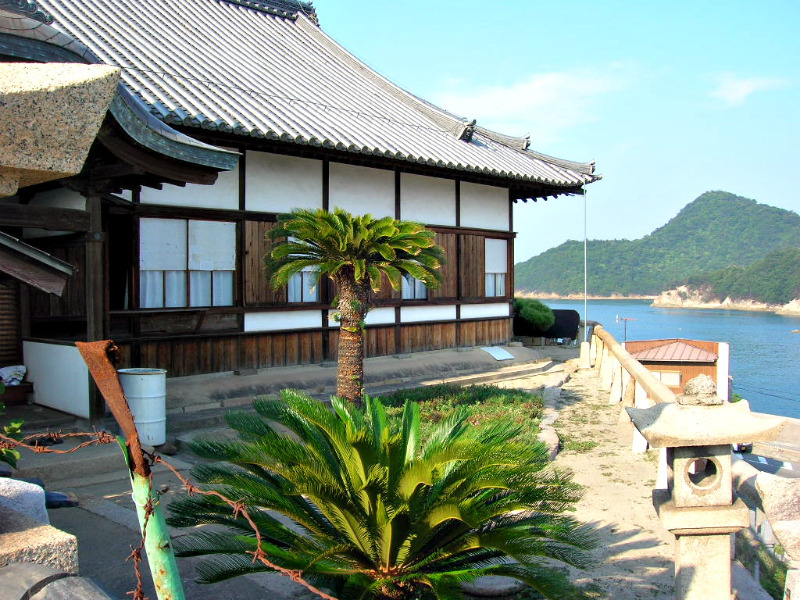 Tomonoura has a few interesting Buddhist temples, such as the Iō-ji, Myōen-ji, and the Enfuku-ji Temple perched on a promontory at the eastern tip of the harbour, overlooking Sensui and Benten Islands. There is no train station in this small coastal village. You will need to get to Fukuyama city first. Buses run every 15 minutes between Fukuyama station and Tomonoura (35min, ￥530).